Nature generously endowed Napoleon Orda with many talents. No doubt, if he had devoted his life to one of his extraordinary capabilities, he would have become a great artist or a piano player, a composer or a teacher, an enlightener or a thinker. But his work¬manship distinguishes him from all creative persons of those times. His mother, Jozefa, was a daughter of a Pinsk judge and a sword-bearer Tadeusz Butrymowicz. Napoleon Orda was born on February 11, 1807 in the village of Varatsevichy in the Pinsk district (today — the Ivanava region of Brest oblast). His father, Mikhail, was an engineer-fortifier. The forefathers of the Ordas were Tatars by birth. At the end of the 14th century an ancestor of Napoleon left the lands of the Golden Horde and came to the medieval Lithuania, which was ruled then by Grand Duke Witold the Great. The Ordas served faithfully to their new Motherland and in the 18th century were considered to be rich Polish gentlemen. Napoleon received a good primary education from his parents. His mother, who was a talented piano player, gave him first piano lessons. 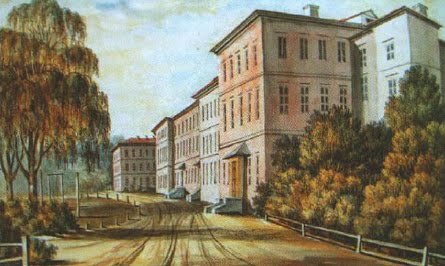 After finishing a secondary school in Svislach in 1823, he became a student of the physical and mathematical department of Wilno University — the biggest educational center of those times. Excellent future prospects opened before the young man. However, he never graduated from the university. Being absorbed with the idea of making his Motherland independent, he became a member of an illegal patriotic organization «Zaranie» and was arrested in 1827 by the Russian secret police. Although he was released a year later, he was not allowed to continue his studies. Napoleon came back to his parents' house. He was not the kind of person that could resign himself to his fate. He enlisted as a soldier to the Lithuanian cavalry corps. A bit later a rebellion broke out in the Polish Kingdom. Napoleon joined the rebels and became a junior commander of the rebel army. For his courage in battle he was given the highest award — a Golden Cross of the Virtuti Militari Order and was promoted to captainship. 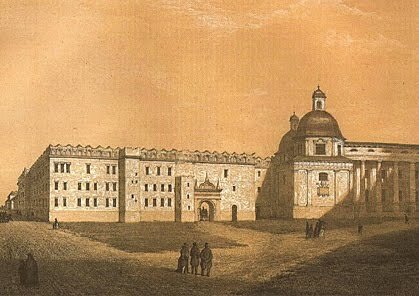 The rebellion put down in 1831, Napoleon filed abroad to escape being imprisoned and sent to Siberia. The life of an immigrant means adapting to new conditions and environment. Being proficient in languages, in particular in French helped Napoleon to survive. However, the lack of money made his life miserable. On acquiring a passport under the name of a servant of his best friend Titus Plonski in 1833, Napoleon left Switzerland for Paris where he lived till 1856. In Paris he made friends with Frederic Chopin, Ferents Liszt, Joakkino Rossini, Giuseppe Verdi, Scharl , Gektor Berlioz, Adam Mickiewicz, Stendhal, Honore de Balzac, Ivan Turgenev and others. In 1843, he married Irene Bougie. Financial problems, bad living conditions and nostalgia, marked those years of Napoleon's life. Yet, he never stopped creating. He was charmed both with music and painting. It seemed, it was not the best age for studies but Napoleon did not care. He took painting lessons from the famous Pierre Gerard, the master of architectural landscapes. Napoleon received art education in his studio. At the same time he polished his piano playing skills. That was Frederic Chopin who influenced Napoleon Orda. At first Frederic Chopin, who had discovered Napoleon's outstanding musical abilities and composer's talent, was his teacher but soon after he became his true friend. Frederic Chopin liked to play piano four hands with Napoleon and dedicated many compositions to him. In his letters to Napoleon he called him «My life» and signed them «Your old friend Chopin». Frederic Chopin also liked to play Napoleon's compositions full of lyricism and tenderness. That was Chopin's house where Napoleon could relax. There he met Ferents Liszt, who appraised his talent and advised to start composing. That was very sound advice. Napoleon started writing waltzes, polonaises, romances and other musical pieces. In 1838, he published «Album of Works of Polish Composers» containing his compositions as well. The name of Napoleon Orda became famous among music lovers. In the mid 1840s, Napoleon Orda worked as the head of the Italian Opera in Paris. However, the opera was shut down and Napoleon had to return to composing. He spent most of his time traveling. Those days he preferred painting. While visiting different European countries he was painting monuments of architecture. Having a plane-table, pencils and paints Napoleon traveled around England, Scotland, Holland, Portugal, Spain, Scandinavia and Algeria. On completing 13 journeys he drew hundreds of wonderful drawings. The beauty of foreign countries fascinated Napoleon Orda but it could not substitute his love to Motherland. This feeling of nostalgia constantly bothered him. 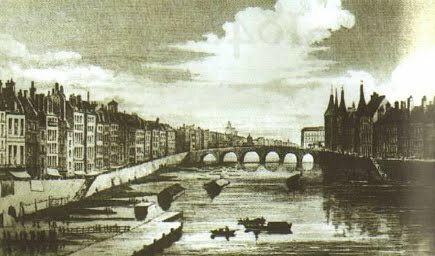 Like his friend Adam Mickiewicz he was dreaming of native places, his Varatsevichy. Napoleon thought he would never see his mother and sisters again. No doubt, he gained public recognition in Paris and made his family happy. What else did he need? The answer is the Motherland. In 1856, the rebels were pardoned and Napoleon was allowed to return to Poland. Even a sudden separation with his wife and son, who stayed in France and did not want to go to the backwoods of Polesye, could not stop him from coming back home. Napoleon Orda returned to Varatsevichy. Coming back to his Motherland made him happy and sad at the same time. On the one hand native landscapes awakened reminiscences of his childhood and happy days in his parents' house. On the other hand poverty of the enslaved people saddened him. Besides, after coming home Napoleon encountered problems himself — after the uprising his manor and the village of Varatsevichy were confiscated. Napoleon was given compensation worth of 5790 silver rubles 50 kopeks. That was enough to lease three farms, which had been opened in his former estate. Napoleon buckled down to farming and spent his spare time traveling and painting. He mastered pencil drawing techniques, which helped him draw landscapes while traveling. His pictures depicted historical-poetic images of Belarus, Lithuania, Ukraine and Poland. Napoleon Orda made more than 200 drawings of the Belarusian architectural monuments and the places where famous people lived. Among them are townscapes of Grodna (more than 20 drawings), Vitsebsk, Magilyou, Polatsk, Nyasvizh, Pinsk, Navagrudak and others. He painted manors and palaces in Zawossye, Palanechka, Tuganavichy, Skoki, Moladava, Dukory, Ruzhany, Pryluki and Astrashytski Garadok as well as religious sites — St. Sofia Cathedral and St. Euphrosyne Convent in Polatsk, the Churches of Sts. Boris and Gleb in Grodna and Navagrudak, cathedrals in Gniezno, Koydanava, Ruzhany, Ivanava and others, which are historical values nowadays. Many works of Napoleon Orda are philosophic and symbolic, where the ruins of the castles are the symbols of the time while the castles are the symbols of the great history of the native land. Fragile people's figures against their background accentuate the well- known saying from the Bible about the rush. Napoleon Orda's drawings feature the Old and New Castles in Grodna, Illinichis' residence in Mir, medieval castles in Lida, Navagrudak, Kreva and others. Depicting in every detail the species of archi¬tecture, palaces, castles, buildings Orda glorified the creative work and creative genius of a man. In his paintings he made a declaration of love to his native land feeling proud of its rich culture and history. His drawings also feature the wooden houses of ordinary people, villages along the rivers and lakes, wells and mills which communicate well the national colours. A road is the subject of many drawings of Napoleon Orda. Leading to a home or stretching in the distance — a road acquires a symbolic sense. The life of Napoleon Orda was connected with the road and traveling: wandering in foreign countries, coming back home and again traveling around the world. The road is the symbol of Napoleon Orda's life, an artist traveling between the past and the present. Many drawings of Napoleon Orda were connected with the names of famous people, contemporaries of the artist and his friends: Adam Mickiewicz (the estates in Zawossye, Tuganavichy), S. Moniuszko (the estate in the village Ubel), Mikhail Oginsky (a palace in Retavas in Lithuania), Tadeusz Kosciuszko (Kosovo), and many others. Napoleon Orda would carry on in that way if not the rebellion in 1863 in Poland and Belarus. There was no direct evidence of his involvement in the rebellion. Yet, the authorities had every reason to suspect Napoleon Orda: the former rebel could not remain indifferent to the fight for independence of the native land. It turned out that he sent his house- serfs to help a squad of rebels. A powder-flask with powder and some suspicious papers were found in the house of Napoleon. That was enough to arrest him and land him in prison in Kobryn. The investigation was underway for about a year. By decision of a drum-head court martial Napoleon Orda was ruled to go to exile to some remote place in Russia. Yet, the verdict was revised and Napoleon Orda was released in 1867. At that time Napoleon settled in the house of his sister Gartenzia. He was all into the creative work to console and get away from sad thoughts about the future. Suddenly he received an invitation from the retired general Adam Rzewuski to teach his son music and painting. Napoleon Orda moved into Czudnova — the residence of the Rzewuski family who were famous for their love of literature and arts. 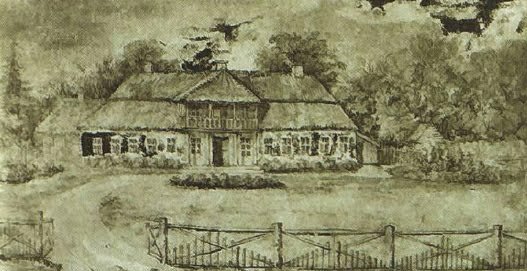 In the late 1840s Jan Barszczewski, the author of the well- known «Gentleman Zavalnya, or Belarus in fantastic stories» lived in their house as well. The daughter of Adam Rzewuski was Balzac's wife. The atmosphere of workshipping the arts which reigned in the house of Rzewuskis favoured the development of Napoleon Orda's talents. He was not only a wonderful artist, musician, composer but also a teacher. 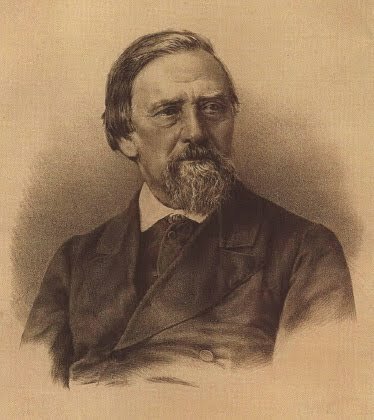 He wrote the book «The Grammar of the Polish Language» for the French which was published in 1856 in Paris and later, in 1858 and 1874, — in Warsaw. The many-year work resulted in the book «The Grammar of Music» which was edited in 1873 in Warsaw. Stanislaw Moniuszko spoke highly of the book. Probably in Czudnova he had the idea to create an encyclopedia of drawings of the historical places to immortalize the «old ruins of the castles and wonderful residences which showed the beauty and civilization of the land». In a fit of a temper of a young man Napoleon Orda got down to work. He got a moral support from the famous Polish writer and historian J. Kraszewski. Napoleon Orda devoted more than ten years to this work. He traveled around Grodna, Minsk, Vitsebsk, Magilyou, Wilno, Kiev, Podolsk, Kouna, Livland provinces and also Poznari, Masovia, Prussia and other places. The artist systematized his works. Every province had an individual file. His best paintings were published in popular Polish magazines under the special heading «From the file of Napoleon Orda» what promoted the popularity of their author. Probably this fact prompted the artist to publish his drawings-lithographs in special series. The last series «The album of the historical places of Poland» (Album Widokow Historycznych Polski) was edited in 1873, in Warsaw Aloiz Misurowicz made lithographs from the drawings at the Warsaw lithography mill of Maximilian Fayans. The edition was sponsored by Napoleon Orda. 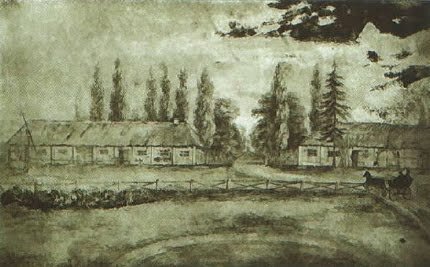 The cover featured the lithograph with the views of the native Varatsevichy and an inscription: «The property of the Orda family throughout 300 years until 1831 — the Motherland, unforgettable and dear to the author». Coming back to the home place was the discovery of the Motherland which he later discovered for others. The album had a big circulation and was very popular. Jozef Kraszewski wrote: «These landscapes are the only collection of this kind. I do not know any other person who managed to accomplish something of this kind. We enjoy looking through and remembering different places. 1 thank you for this wonderful work. If the album gets bigger, as you promise, then it will be a happy ending to the great job which tempted many but who nobody ever did». The revenues from the album helped Napoleon Orda sponsor another edition. All in all eight albums featuring 260 drawings-lithographs were edited. In 1880, Napoleon Orda was admitted to the Warsaw association of admirers of fine arts. He became one of the founders of the Minsk music association, created a fund to support talented students of a school in Pinsk. Everything Napoleon Orda did has become the European cultural heritage. 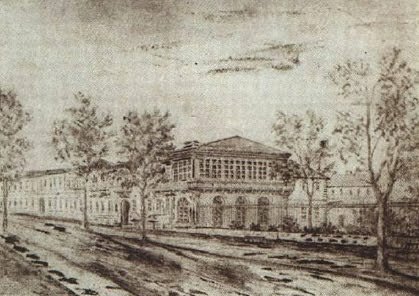 The researchers believe that the artistic heritage of Napoleon Orda numbered over 2000 drawings, with over 1000 remaining until now. The original works are kept in the National Museum in Krakow (most part), the National Museum in Warsaw, the album of water- colour drawings — in the Stefanik library in Lvov, one of the albums — in Volyn museum of local lore. The National Library of Belarus also has a big collection of the lithographs from Orda's drawings. Napoleon Orda spent his last years painting much traveling around Galitschina, Kelce, Suwalki and Warsaw lands. In 1883, he fell ill and died in one of the hospitals of Warsaw. He is buried in the family crypt in Ivanava which he asked about in his will. 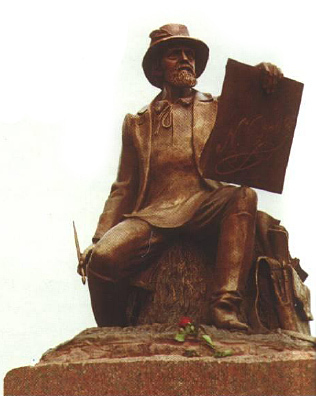 In 1997, Ivanava inaugurated a monument to Napoleon Orda made by talented sculptor I. Golubeu. Yet, the best monument is his works which glorify the creative genius of a man.